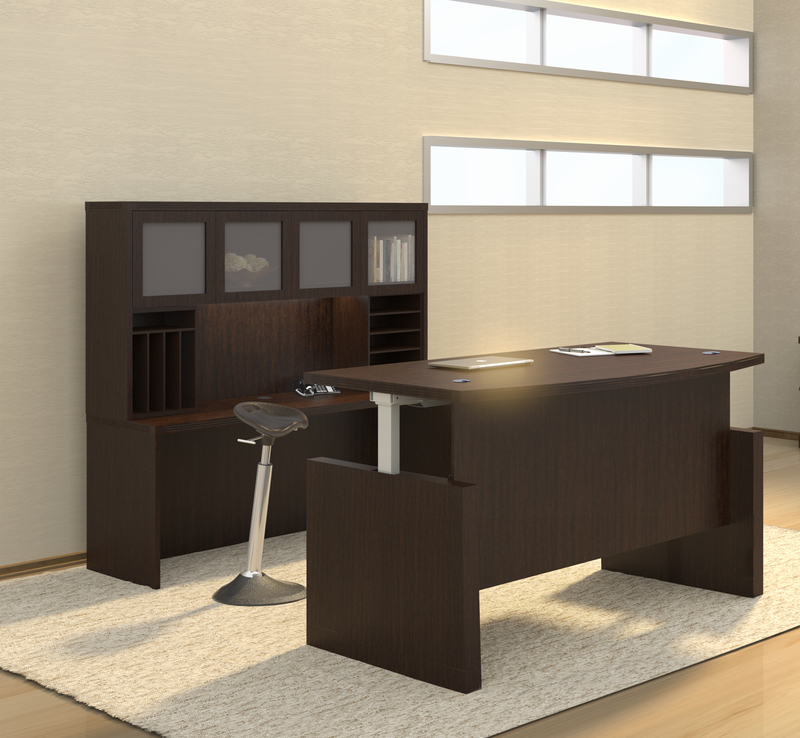 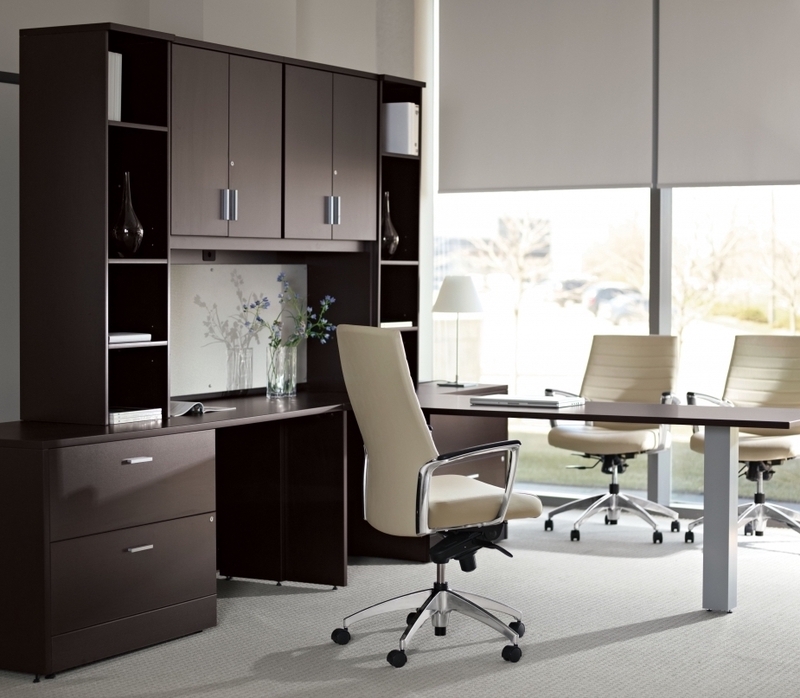 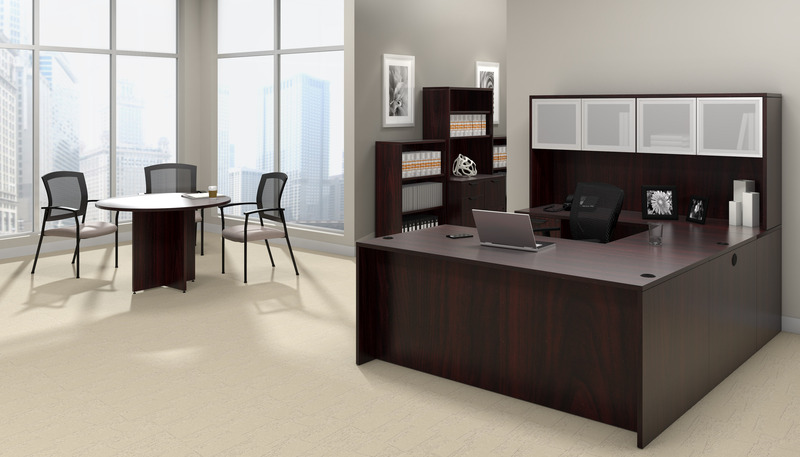 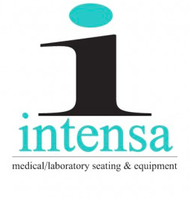 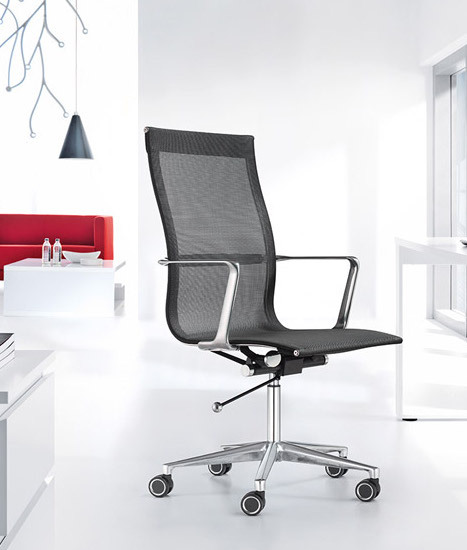 Create a personalized executive office interior with modular furniture from the Global Adaptabilities collection. 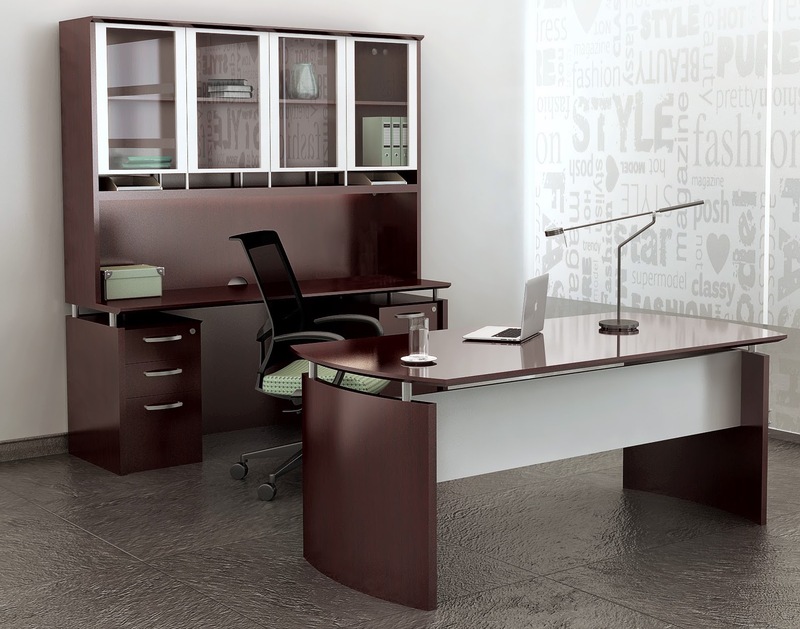 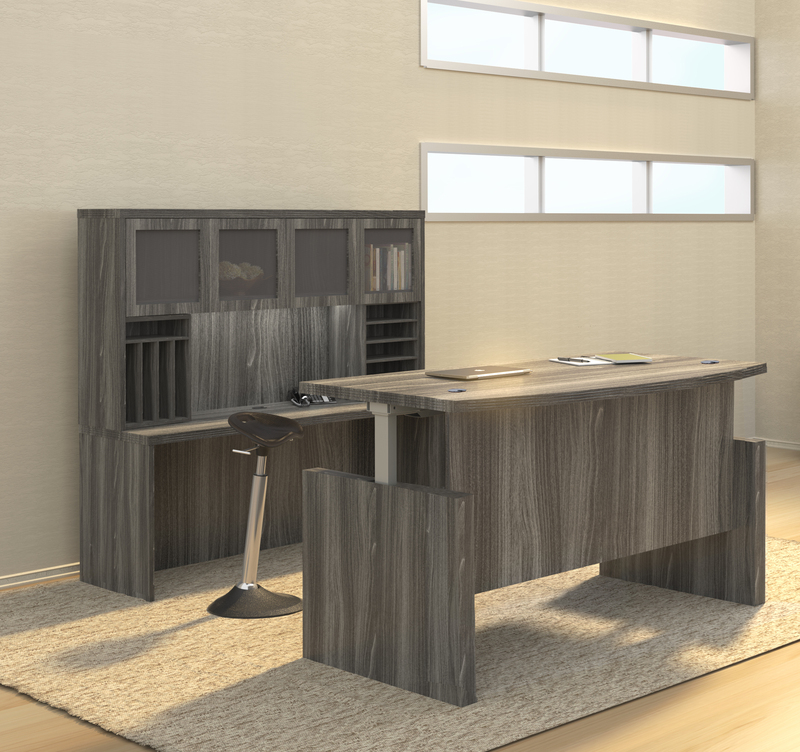 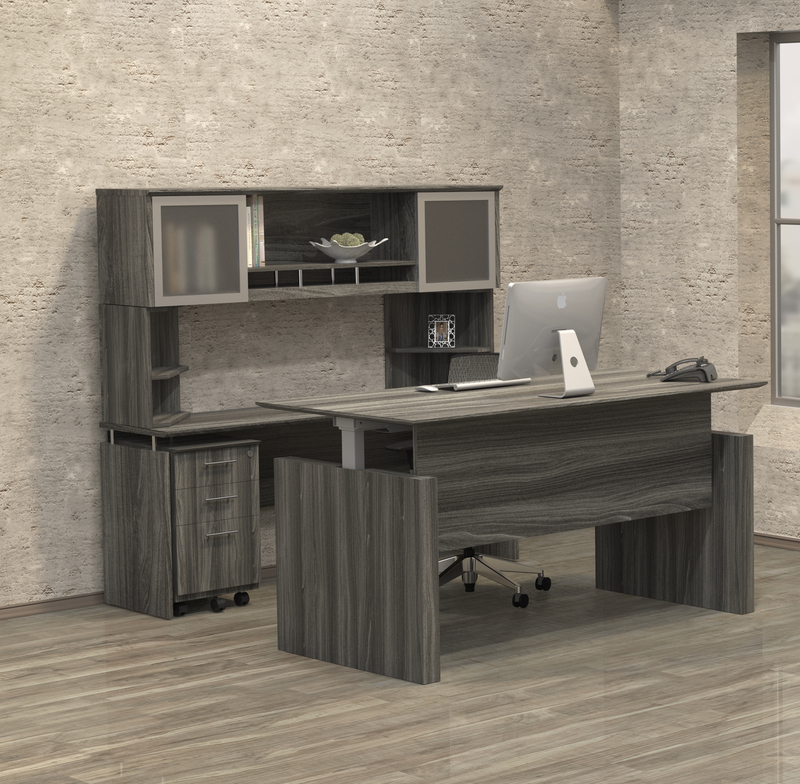 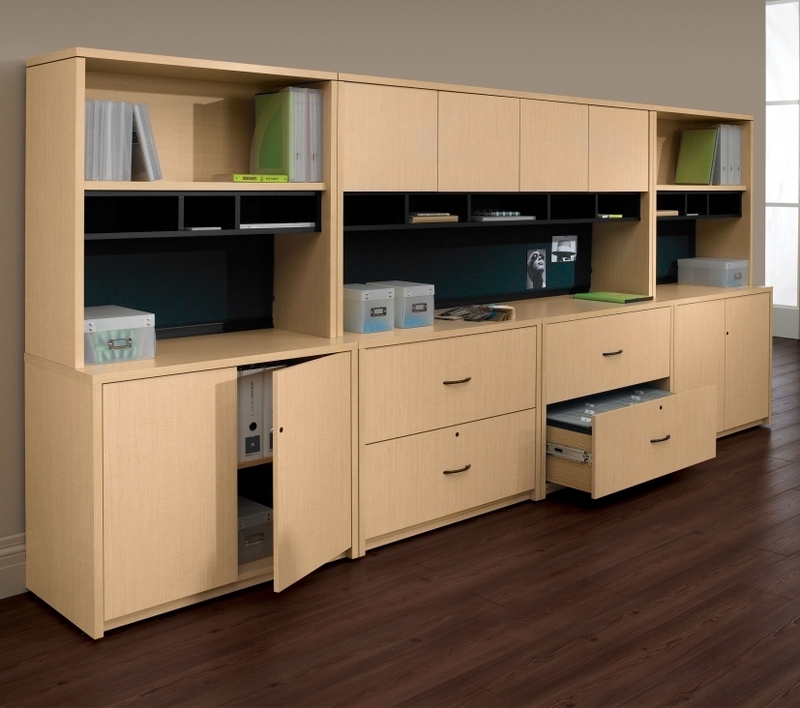 This spacious U shaped desk with overhead hutch provides plenty of operating space and storage. 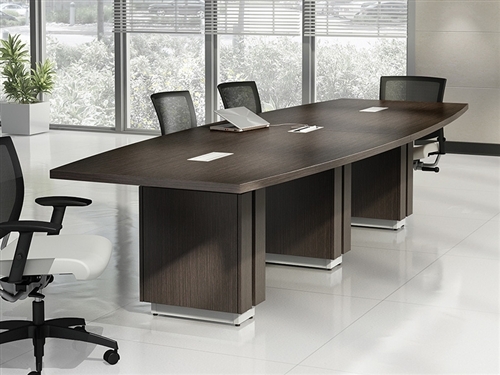 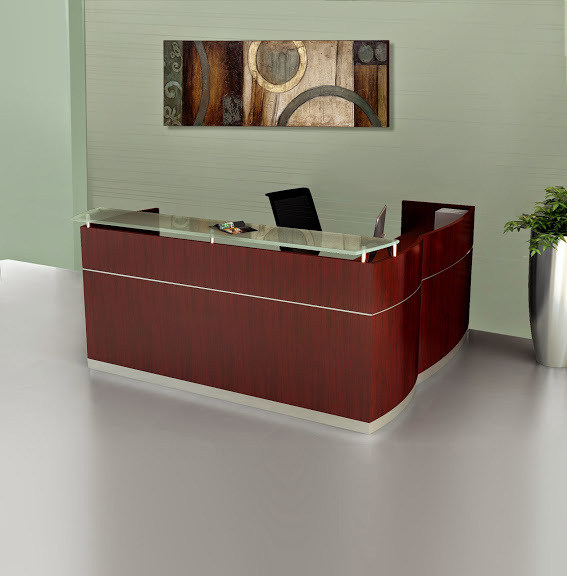 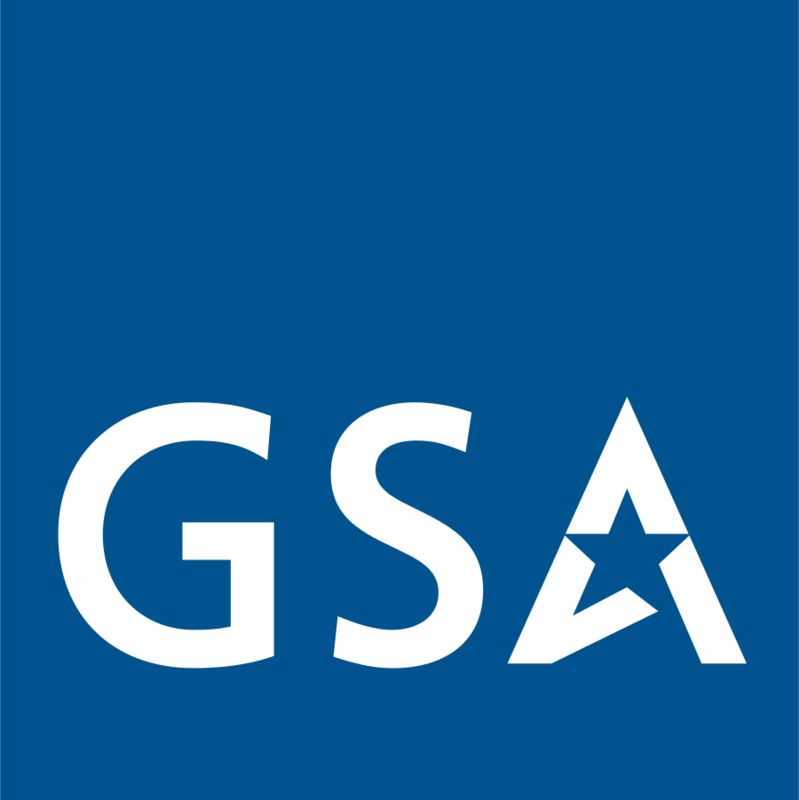 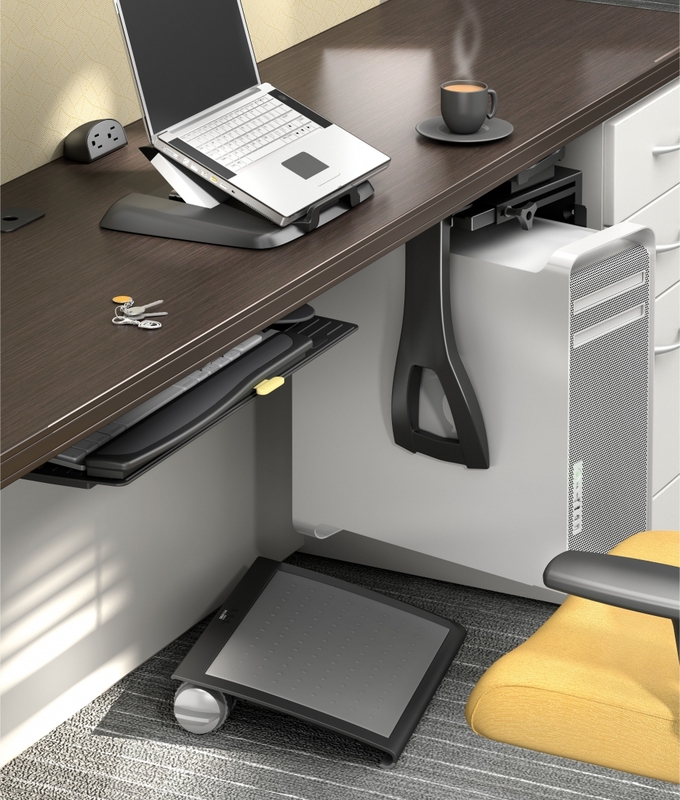 Global Adaptabilities desks are available in a variety of designer finish options.